Stephanie is the Executive Director of Exceptional Choral Events and Artistic Director for Spectrum Choral Academy. She has extensive experience and training as a choir director of children and youth ages 5 to 20. She is also a trained Music Together® instructor (early childhood music program for newborns through age 5). She has proven herself a creative and inspirational teacher and choral conductor, with her students frequently becoming section leaders of their school choirs, participating in honor choirs, holding lead roles in musicals and going on to major in Music Education, Music Performance and Theater Arts in college. Stephanie has a passion for both directing choirs and developing choir-related programs. Stephanie began studying piano and singing in choirs at the age of 3 and now has 25 years teaching experience. She is a 2002 graduate of Pacific Lutheran University with a Bachelor of Music degree in piano performance. 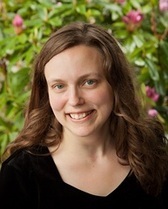 She was the Founding Artistic Director of Cappella Choirs in Port Orchard, WA and served in that position for 10 years, from 1998 through 2008. Stephanie also served as Associate for Children's and Youth Choirs at First Presbyterian Church of Bellevue from 2004-2012. In that position, she directed Good News Group (grades 4-7) and accompanied Bel Canto (grades 8-12), while planning tours for Bel Canto to California and Costa Rica. Stephanie maintained an active studio private piano and voice students from 1992-2012. In 2007, Stephanie had thyroid surgery which inadvertently resulted in paralysis of her left vocal cord. An additional surgery was done to insert a prosthesis, allowing the paralyzed vocal cord to still function. Stephanie's voice continues to strengthen and she is excited to continue her work of inspiring young singers through music. In addition to her work with choirs, Stephanie is studying Waldorf education and Dalcroze Eurhythmics while developing a unique, hands-on music theory program which is part of Spectrum Choral Academy. Stephanie is an active member of the American Choral Directors Association, the Dalcroze Society of America and MENC. Her choirs have toured to PICCFEST (Eugene, OR), the Pacific Rim Children's Chorus Festival (Honolulu, HI), the Manhattan Concert Productions Festival (Carnegie Hall - New York, NW) and multiple trips to California. Stephanie and her husband Donald have over 15 years experience planning successful choir camps, festivals and tours. Together, they coordinate the Fort Worden Children's Choir Festival, Youth Choir Festival Northwest and Northwest Choir Camps. They live in Port Orchard, WA with their four musically talented children. Donald is Managing Director for Exceptional Choral Events and also Accompanist and Music Theory Instructor for Spectrum Choral Academy. He has 35 years of experience as a professional musician, choir director, and music teacher. He was the founding director of the Prestant Boys Chorus of Port Orchard and served as their director until 2008. 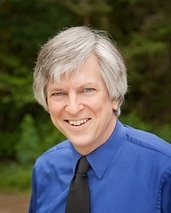 He also served as the director of the Port Orchard Community Chorale from 1997 to 2003. Donald graduated in 1982 from Pacific Lutheran University with a Bachelor of Music degree in piano performance. He maintained a private teaching studio for piano and clarinet students from 1982-2012. Additionally, Donald served as accompanist and substitute choir director at First Presbyterian Church of Bellevue from 2006-2012. In addition to his musical pursuits, Donald is currently the Senior Marketing Consultant and Manager of the Client Services Division for Go Meta Media and Eben Pagan. Prior to his current position, Donald was Director of Client Services for Business Breakthroughs International with Chet Holmes and Tony Robbins. He also offers independant consulting for business start-ups and mid-level companies looking to improve their marketing, profitability and stratigic positioning within their industry. Donald takes care of marketing and logistics for Spectrum, the Fort Worden Children’s Choir Festival, Youth Choir Festival Northwest and Northwest Choir Camps.